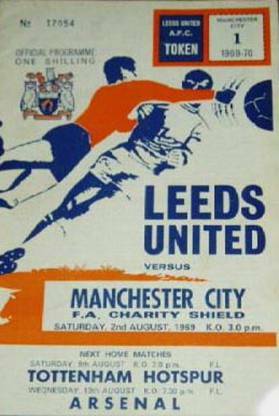 Date: Saturday, 2nd August 1969. 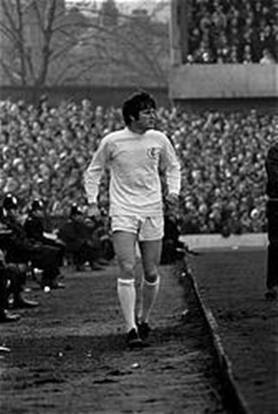 Scorers: Leeds United: Gray, Charlton. 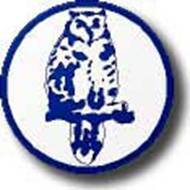 Manchester City: Bell. 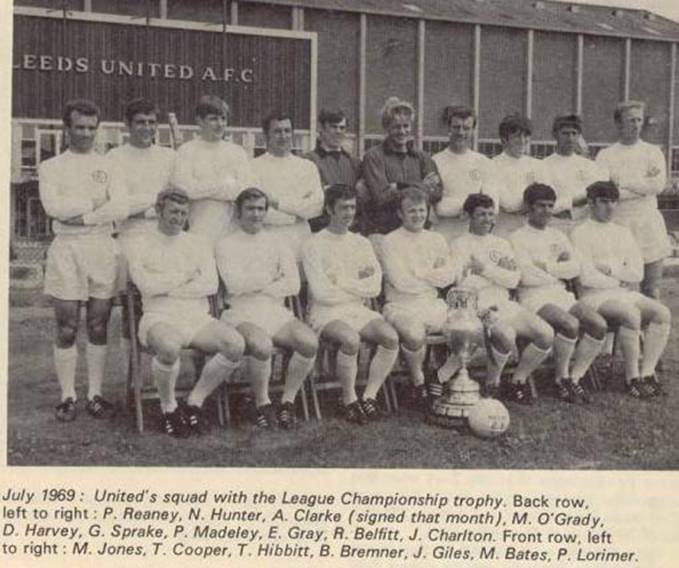 Leeds United: Sprake; Reaney, Cooper; Bremner, Charlton, Hunter; Madeley, Clarke, Jones (Lorimer), Giles, Gray. 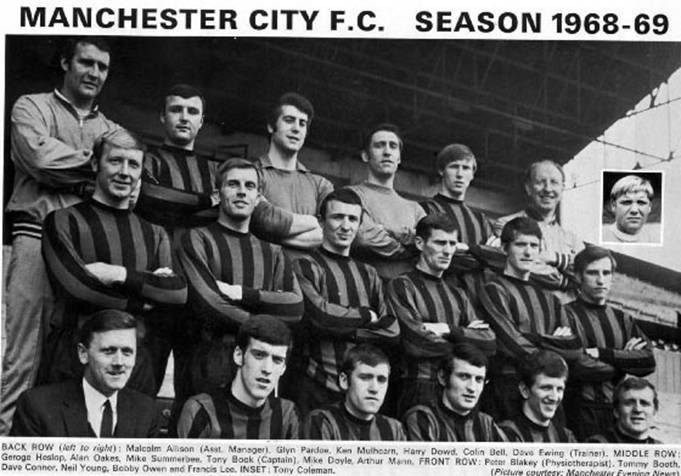 Manchester City: Corrigan; Book, Pardoe; Doyle, Booth, Oakes; Summerbee, Bell, Law, Young, Coleman. 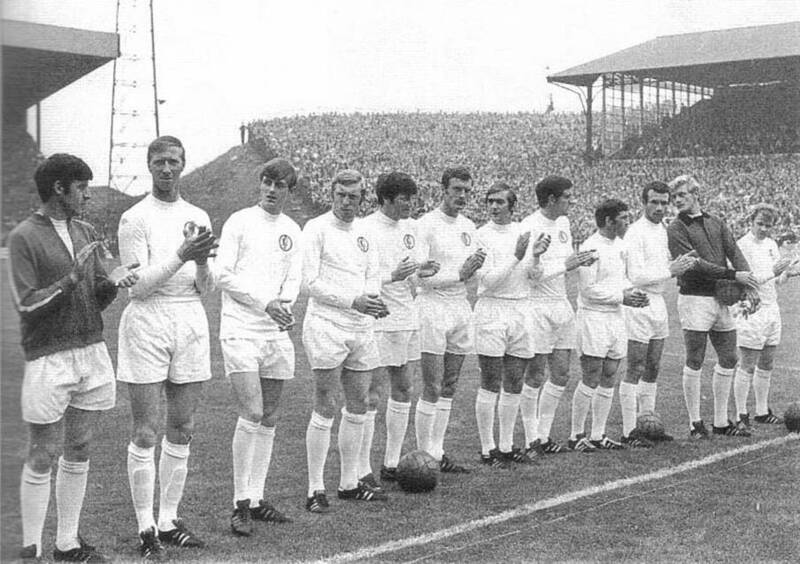 This was often called the legendary eleven, certainly the legendary dozen. 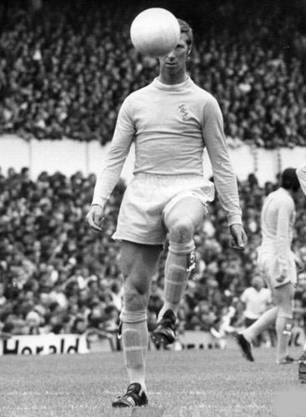 It was record £165,000 fee purchase from Leicester City Allan Clarke’s debut in a Leeds shirt and it signalled the arrival of the team that was to rule English, and indeed European, football and was feared by every team they played. 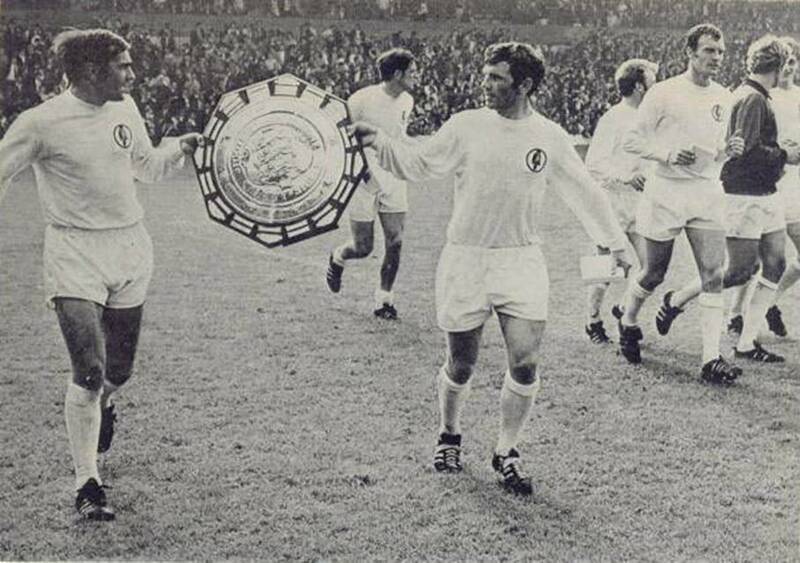 It was the start of the deadly twin-spearhead of Clarke and Jones which was acknowledged as Leeds’ finest striking duo, but that strangely never featured for England. 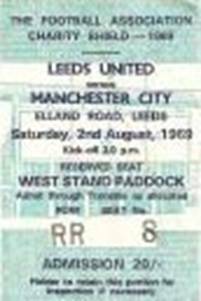 As League Champions, Leeds were given home advantage over FA Cup-winners Manchester City. 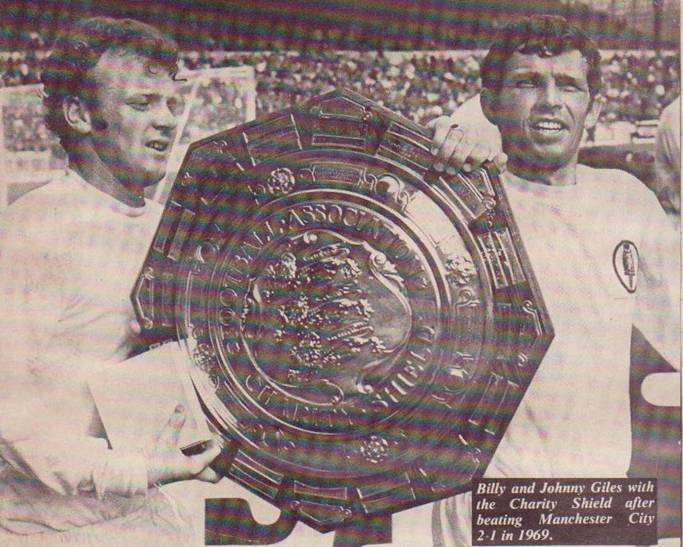 The new spearhead was paraded in front of the adoring fans but it was goals from Eddie Gray and Jack Charlton that gave United victory and the the FA Charity Shield found a new resting place in the Elland Road Trophy cabinet. 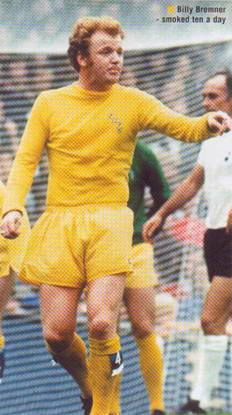 Johnny Giles (10) Ireland, Paul Reaney (2) England, Gary Sprake (1) Wales, Billy Bremner (4) Scotland Captain. 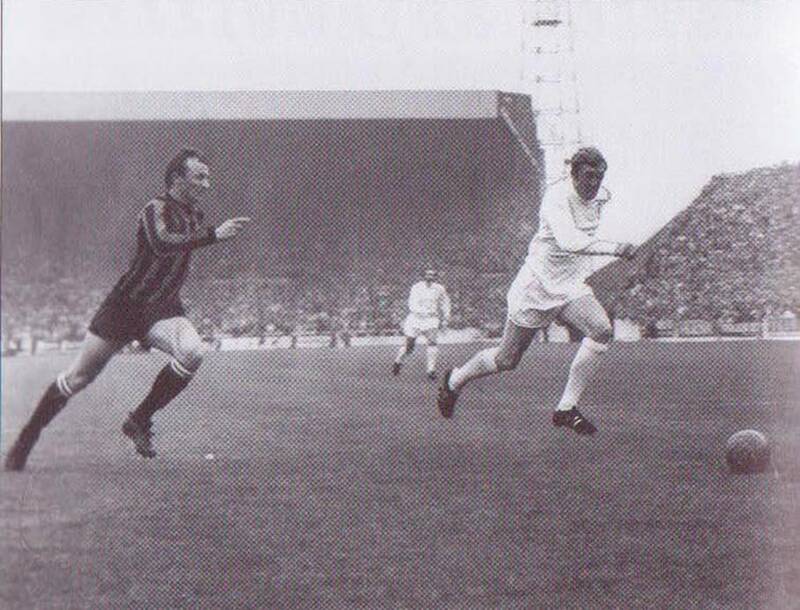 Mick Jones beats Mike Summerbee to the ball.